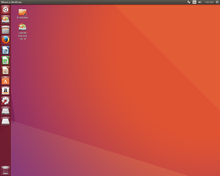 Ubuntu 19.04, codenamed Disco Dingo, was released on 18 April 2019.. 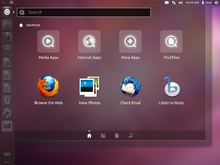 It incorporates the Linux kernel version 5.0 which adds support for AMD FreeSync, Raspberry Pi touchscreens, Adiantum encryption, Btrfs swap files as well as many USB 3.2 and Type-C improvements and several new hardware.. Ubuntu 19.04 introduces the latest GNOME Shell Desktop 3.32 which brings, among others, a new and modern icon set, increased performance, smoother animations, night-light intensity control and advanced application permissions. The updated Nautilus 3.32 now supports favoriting files. A new header bar, as well as 'find' and 'read only' modes have been added to the default terminal emulator. 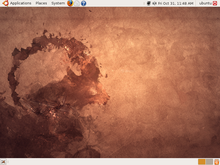 Version 19 of the open-source graphics drivers Mesa is also natively available in this version of Ubuntu. Furthermore, the Grub menu now allows one to opt for the 'safe graphics' mode, in case they are facing issues with graphics cards or graphics drives. This option will boot Ubuntu with “NOMODESET” turned on and will allow to install any propriatary drivers needed by the system. 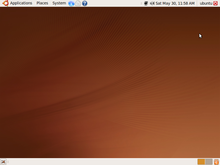 Geolue integration and fractional scaling in the GNOME Shell for HiDPI displays (currently available only in Wayland sessions and experimentally in Xorg sessions) are also listed among the features introduced in Ubuntu 19.04. ^ Cite error: The named reference TBARel was invoked but never defined (see the help page). This page was last edited on 20 April 2019, at 11:23 (UTC).